Welcome To Abu Dhabi. 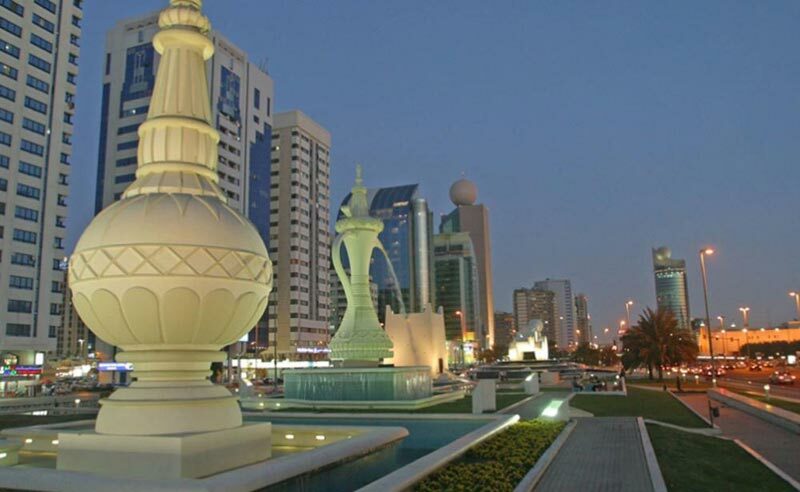 Arrive Via Auh Airport / Dubai And Check In At The Hotel In Abu Dhabi. 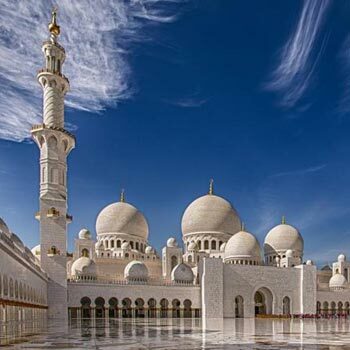 Today You Can Get Familiar With The City Of Abu Dhabi With Your 48hrs Access To The Big Bus Tour And This Combination Of Natural Beauty, Stunning Architecture And The Commitment Of The Ruling Family To Create A Destination Rich In Culture, International Events And Visitor Experiences Takes You To All The Major Landmarks Including Entrance To The Sky Tower At Marina Mall. As You Discover The City Set Off On A Shopping Spree Experiencing Abu Dhabis Diverse Shopping Options: From Ultra-Modern Malls With The Latest Brands To Small Souk-Like Outlets Selling Traditional Perfumes, Handicrafts, Spices And Carpets. Most Shops Are Open From Around 10am To 10pm, And Even Later On Weekends. The Must-Visit Malls Include The Abu Dhabi Mall, Marina Mall, Dalma Mall, Al Wahda Mall, Al Raha Mall And So On. In The Evening You Can Visit The Observation Deck (Ticket Only) Situated On Level 74 Of Tower2 Of The Etihad Towers At The Jumeirah Offering Highest Vantage Of Abu Dhabi's Corniche, Arabian Gulf And Magnificent Cityscape. Enjoy An Arabian Feast Whilst Cruising Along The Corniche On A Traditional Dhow Converted Into A Restaurant. 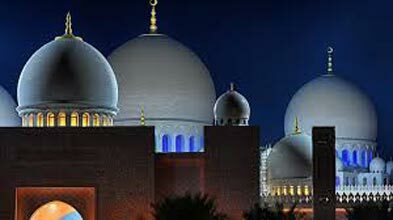 Be Mesmerized By The Glittering Lights Of Abu Dhabi's Skyline. Enjoy A Fun Filled Day At The Ferrari World Abu Dhabi - The Worlds First Ferrari Theme Park And Largest Attraction Of Its Kind. And This Can Be Covered With The Shuttle Bus Service Of The Big Bus Tour Included To Reach The Ferrari World. Its An Intense, Multi-Sensory Experience And A Must-Visit For Enthusiastic Fans And Families. The Ferrari World Abu Dhabi Hosts Over 20 State-Of-The-Art Attractions, Each Designed To Bring To Life A Different Part Of The Ferrari Story, Including Rides For Children Of All Ages, Thus Providing A Complete Ferrari Experience. One Of The Main Attractions Is Formula Rossa - The Worlds Fastest Roller Coaster, Travelling At Speeds Exceeding 240km/H And Emulating The Thrilling Sensation Of Being In A Ferrari F1 Car Or Adrenaline-Pumping Ride Up Over 62m, Through The Roof And Back Down Again. Galleria Ferrari, The Worlds Largest Ferrari Gallery Outside Maranello With An Interactive Display Of Cars From 1947 Through To The Present; Speed Of Magic, A Fantastic 4-D Adventure Through Deep Green Jungles, Icy Caves And Ravines And To The Mouth Of A Fiery Volcano. Return From Yas Island To Abu Dhabi City For Some Great Shopping. You Can Spend Thousands Of Dollars On A Bejeweled Designer Watch, Or Pick Up A Basic Timepiece In A Supermarket. You Can Splash Out On An Haute-Couturedesigner Outfit, Or Buy Fabric And Have A Local Tailor Make Up Your Very Own Creation For A Bargain Price. You Can Buy A Treasured Arabian Antique, Or A Technology Busting Super Modern Home Entertainment System. Back To The City And Overnight In Abu Dhabi. Have A Full Day Experience At The Yas Island Waterpark Which Spans An Area Of Around 15 Football Pitches, With 43 Rides, Slides & Attractions Five Of Which Are One-Of-A-Kind. Try The 238-Metre Long, Worlds First And Largest Hydro Magnetic-Powered, Six-Person Tornado Waterslide. For Adrenaline Seekers There Are Three-Metre High Waves On Bubbles Barrel, Which Has The Worlds Largest Surfable Sheet Wave For Flow Boards And Body Boards. The Bandit Bomber, A 550metre Coaster, Is The First With Onboard Water And Laser Effects. Riders Can Shoot Jets Of Water At Targets, Drop Water Bombs And Trigger Special Effects, While People Below Can Spray Them With Water As They Pass. The Park Draws On Abu Dhabis Heritage And Has The Lost Pearl As Its Theme. Clients Not Wanting To Do The Yas Island Waterpark Can Ride The Track (At Additional Cost) At Yas Marina Circuit. Book A Track Experience To Ride The Yas Marina Circuit Louder, Faster And In-Person. Yas Racing Offers A Variety Of Options, To Suit All Tastes. A Series Of Track Day Packages Are Available, Including Driver Experiences, Passenger Experiences, Private Driving Tuition Programmes And Racing License Courses. 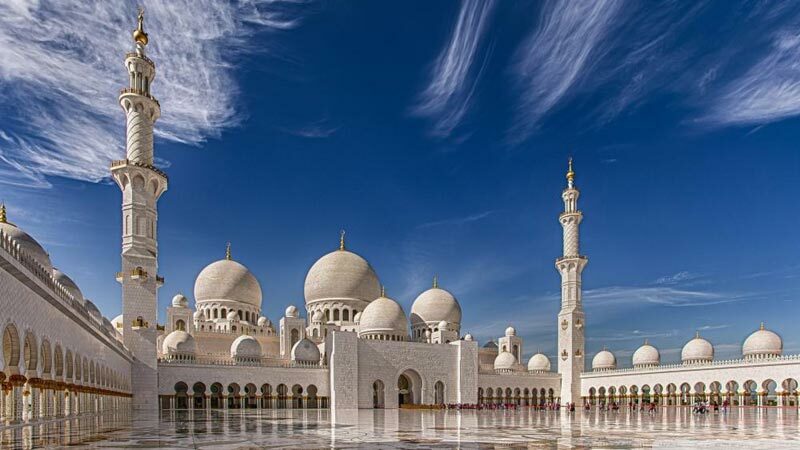 Note: During The Non Ramadan Period Clients Can Replace The Yas Island Waterpark Entrance With A Drive Over The Sand Dunes Followed By A Barbecue Dinner In Abu Dhabi (At The Same Cost) On Islamic Occasions And National Holidays The Tour Will Not Serve Alcohol And Live Entertainment. Post Breakfast Today We Suggest You To Take A Full Day Trip To Al Ain City Which Was Once A Vital Oasis On The Caravan Route From The Uae To Oman. The History Of The 'Oasis City,' The Emirate's Heritage Heartland And One Of The World's Oldest Permanently Inhabited Settlements, Can Be Explored Through Visits To The Al Ain Forts (One Of Which Has Now Been Transformed Into An Arts Centre), The Al Ain National Museum And A Trip To The Prehistoric Tombs At Hili Fort -Known To Be Over 4,000 Years Old. You Can Spend The Whole Day Visiting The Other Attractions Like The Al Ain Oasis, Al Ain Wildlife Park & Resort, The Camel Market -One Of The Last Few Remaining, Wadi Adventure, A Man-Made White Water Rafting, Kayaking And Surfing Playground In The Shadow Of Jebel Hafeet, And The World's Most Advanced Go-Karting Facilities, For A Taste Of The Fast Track. For Family Fun, Try The Newly Renovated Hili Fun-City, The Gulf's Oldest Theme Park. After A Fun Filled Exciting Day Its Time To Get Back To Abu Dhabi Which Is A 2 Hours Drive. Overnight In Abu Dhabi. After Breakfast Check Out & Head To The Airport For Your Flight Home. On The Way To The Airport You Can Choose To Visit The Abu Dhabi Falcon Hospital Which Is The Worlds Largest, And Most Advanced, Falcon Hospital. Its Highlight Is A Falcon Display Museum As Well As A Facility With Free-Flying Falcons. You Can Visit The Luxurious Wards Where The Birds Are Kept, Explore The Museum, Which Gives An Insight Into The Noble Desert Sport Of Falconry, Or Try Your Hand At The Pursuit In The Lush Gardens.